Norway's melodic heavy metal unit Communic was formed in 2003 from the ashes of Ingermanland, which itself had a demo called Beyond Equador . 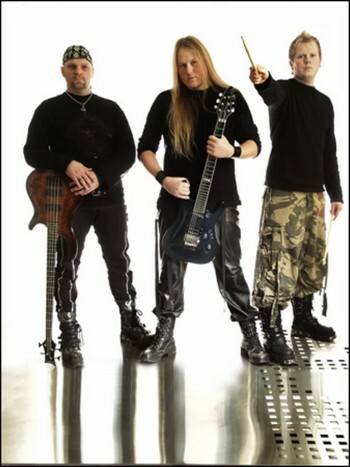 A demo called Conspiracy In Mind (featuring Danish keyboardist Peter Jensen of Sinphonia) translated into a deal with Nuclear Blast Records and an album of the same name in the summer of 2005. The album was produced by Jacob Hansen in Denmark. A tour with Graveworm and Ensiferum followed. The band’s second album was issued in the summer of 2006. The band was invited to play at Europe’s ProgPower that autumn. The band released a new album, Payment Of Existence, on May 30th, 2008 through Nuclear Blast Records. Jacob Hansen produced it. On their debut album Norwegian scene newcomers Communic are all about the staccato thrash chord topped with Warrel Dane/Sanctuary-styled vocals. The band speeds up, slows down nicely and changes the melody quotient, yet the core sound of the band is the aforementioned combination. Interestingly, with seven songs on the album and the shortest song clocking in at a lengthy 6:44 there is not much discord amongst the compositions. This is probably a function of the band's young age and the group being comprised of no more than three men. In fact, analogous to how Communic is several letters short of 'communication' the band itself is lacking some fresh riffs in its arsenal. Other names which come to mind upon listening to the album are Masterplan, Queensrÿche and Nevermore of course. The raspy, but high vocals and the charging bass and often hostile guitars are a good combination. It is just that Communic could use a few more tricks up its sleeves as well. - Ali "The Metallian"